We love it when Amy Ignatow comes to Children’s Book World, but this time it will truly be out of this world! 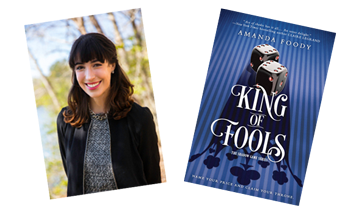 Amy is the author of The Popularity Papers and The Mighty Odds. 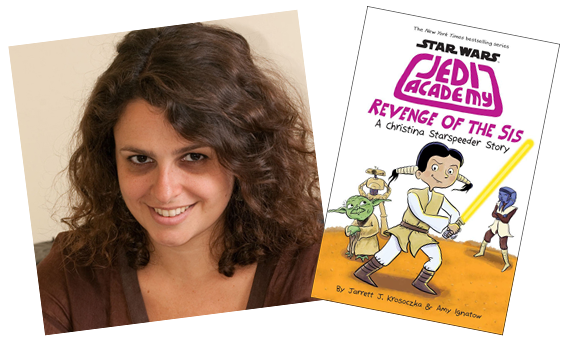 Now, along with creator and illustrator Jarrett Krosoczka, Amy has written Revenge of the Sis, book seven in the Star Wars: Jedi Academy series and she’s celebrating its release with us at our May the Fourth Be With You Star Wars Day event. If you are in a galaxy far, far away and can’t get here to join us, use the button below to ordered your own signed copy! 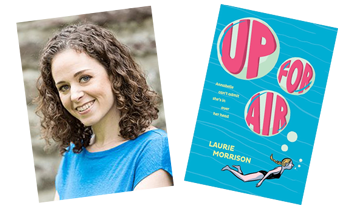 We’re diving into Laurie Morrison’s (author of Every Shiny Thing) new middle grade novel, Up For Air. It’s the totally relatable story of Annabelle, who struggles in middle school classes but is unstoppable when she swims. She will be in conversation with Cordelia Jensen – the co-author of Every Shiny Thing. She’s so good that the high school swim team asks her to join, but along with the glory come some tough lessons about friends, and ultimately, about finding her own self-worth. Get in the swim and join us at Children’s Book World on May 5 at 2:00pm to meet Laurie and hear about Up For Air. 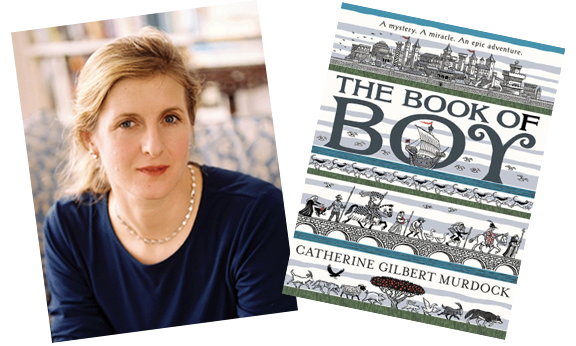 Catherine Gilbert Murdock’s The Book of Boy was selected as one of two Newbery Honor titles for this year. Full of magic, intrigue and mystery, this epic tale set in the 14th century follows a young boy’s quest as he and a mysterious pilgrim search for relics of St. Peter! Fans of The Inquisitor’s Tale or Where the Mountain Meets the Moon will love this book. We are excited to be able to invite you to come meet Catherine Murdock and help her celebrate The Book of Boy’s selection as a 2019 Newbery Honor Book! If you are unable to make it to Children’s Book World for this event, use the link below to order you very own copy of this Newbery Honor Book! Oh, do we love stories about the power of books! And author Amy Rebecca Tan is just our kind of writer. She works in a public library and an independent bookstore and now she’s written an unforgettable story called A Kind of Paradise. It’s about 13 year-old Jamie Bunn who made a BIG mistake at the end of the school year. Her punishment is to spend her summer volunteering at the local library. What a waste of a summer! Or so she thinks… This book is all about the power of community, the power of the library, and the power of forgiveness. 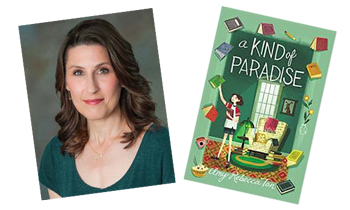 Come to ‘our kind of paradise’ — Children’s Book World — to meet Amy and learn about her brand new book on June 1 at 1:00pm. If you can’t join us, you can get your very own signed copy by using the button below! This powerful picture book is heartbreaking yet relevant and it sheds light on events that helped lead to the end of apartheid. Hector Pieterson loved hanging out with friends, playing soccer, watching movies, and spending time with his family; he was an ordinary 12 year-old boy living in South Africa. On June 16, 1976 he went to school and got caught up in a protest against a new law requiring that children be taught half of their subjects in Afrikaans, the language of the White government. The story’s events unfold from the perspectives of Hector, his sister, and the photographer who captured their photo in the chaos. June 16 is now a national holiday in South Africa, honoring this ordinary boy whose trip to school ended his life and the photo of that event that changed his country. 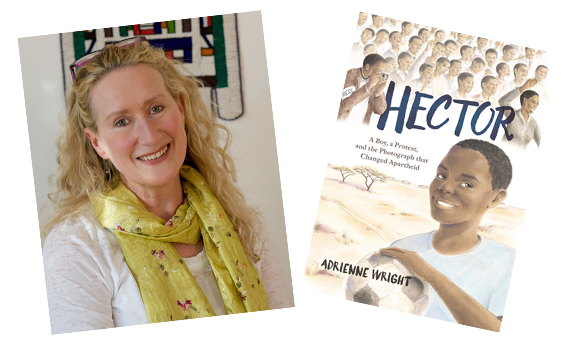 Meet local author-illustrator Adrienne Wright to celebrate her debut book at Children’s Book World on Saturday, June 8 at 1pm. If you can’t make on June 8th, use the button below to order a copy signed by Adrienne Wright! 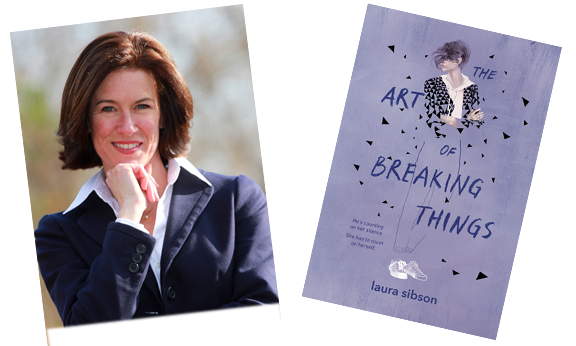 The Art of Breaking Things by Laura Sibson is a YA novel in the tradition of Laurie Halse Anderson and Sara Zarr. Skye just wants to finish high school, go to art school, and not look back. Unfortunately, difficult circumstances force her to embrace the power of her own voice and break the rules to save herself and her family. This stunning debut novel is timely and empowering. Laura Sibson will be at Children’s Book World to talk about and sign her moving and powerful first novel. If you are unable to attend, please use the link below to order your personalized copy of this fierce, independent first novel. Calling all dog lovers! 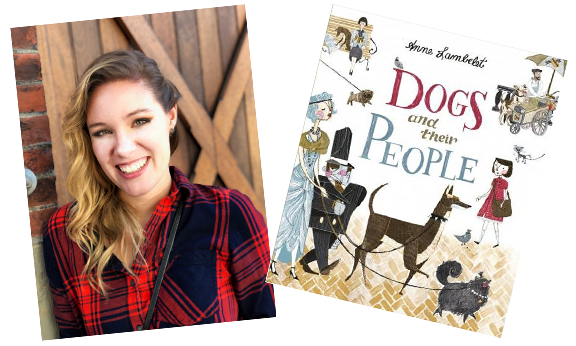 Dogs and Their People is a delightful picture book about a young girl and her thoughts as she walks home and sees people with their dogs. We all love the funny observations and the charming illustrations in Anne Lambelet’s newest book celebrating our best friends. Be sure to bring a picture of you and your furry best friend – dog, cat or whatever – to the launch party, along with a favorite furry stuffed animal if you have one! Check back for more details of the fun things we have planned! Please join our mailing list (see sidebar, top right) so you can be the first to know more information about these events.